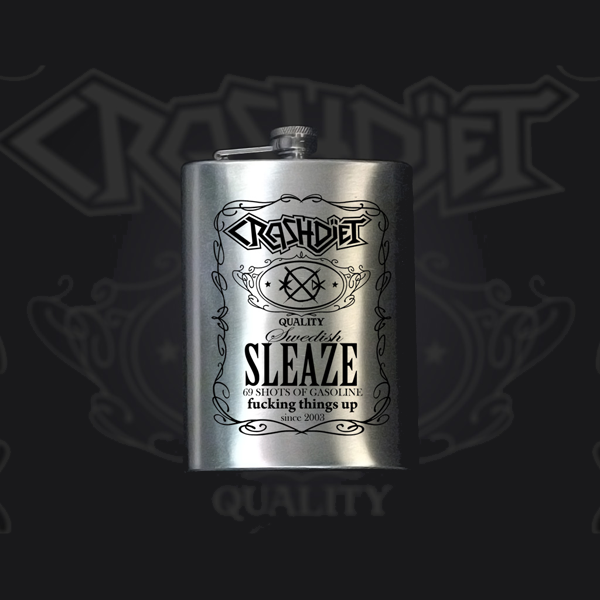 CRASHDÏET Sprit Flask... Drink in style :). Stainless steel, brushed surface. Fits nicely in the inner pocket of your leather jacket for sure - or even in your cowboy boots ;). This is perfect as gift for my guitarist's birthday...30!